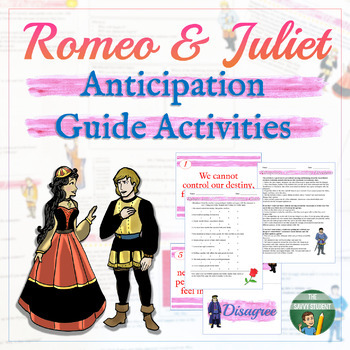 Looking to freshen up your pre-reading activities for Romeo and Juliet? Here is an anticipation guide with 3 different engaging classroom activities that will get your students up and thinking! Hope you enjoy and please leave feedback!